Welcome to the Crosstown Classic Crawl™ website. Benefiting the Make-A-Wish Foundation® Illinois Chapter! A 501(c)3 Fundraising Charity Event! 100% of the profits go to Make-A-Wish! Make sure you save the date for this years bar crawl! !!! THANK YOU FOR ALL OF YOUR SUPPORT !!! 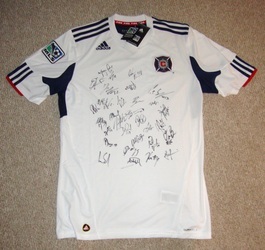 The Chicago Fire Donate Items to Crosstown Classic Crawl Charity Raffle. 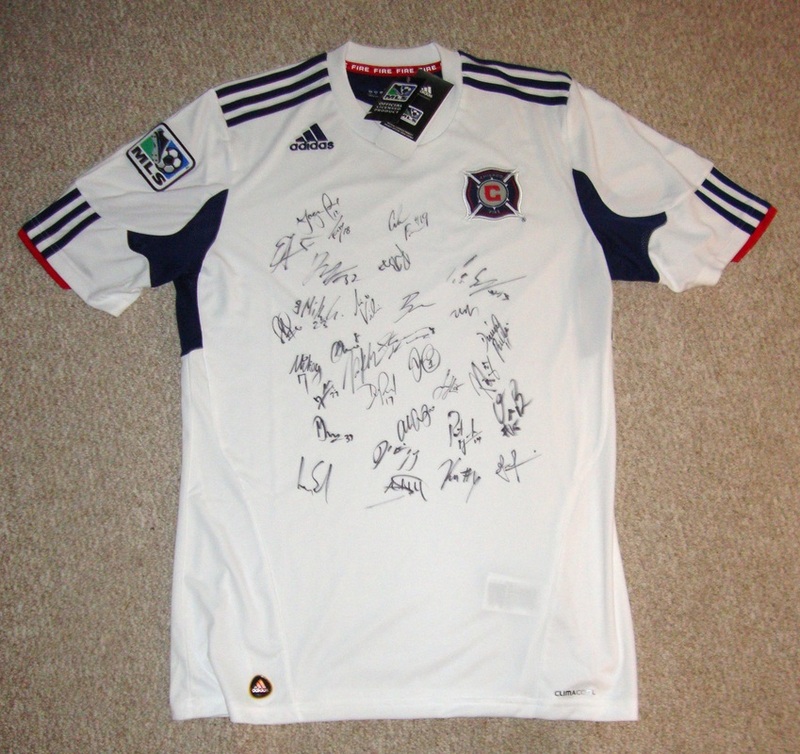 The Chicago Fire have donated several items to this years Crosstown Classic Crawl fundraising event benefiting the Make-A-Wish Foundation Illinois Chapter. Two of the items included in their donation are a 2010 Team Signed Pennant and a 2011 Team Signed Jersey. Fire fans will want to make sure to buy some of our general $5 raffle tickets inorder to get a chance to win these amazing items. There is a rumor that representatives from the Chicago Fire as well as their mascot, Sparky the dalmatian, will be attending this years event to help raffle off their items! Chicago Cubs Autographed Jersey Premium Raffle Prize Almost Finished! It has taken just under a year to complete. The premium raffle prize Chicago Cubs Autographed Jersey is almost done and ready to go to a lucky winner. There are 28 total signatures on the jersey. A great mix of current players, Hall of Famers, and Cubs legends. The jersey is currently being framed so it is ready to hang on your wall. This item is easily worth $2,000, probably more!!! 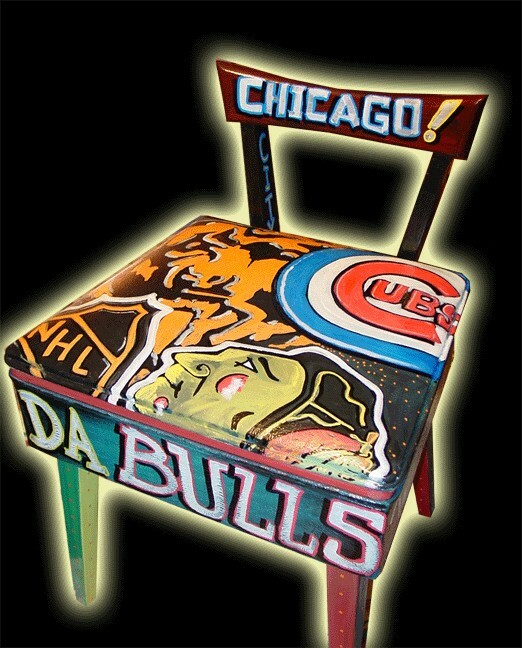 It can be yours for the price of $10.00 raffle ticket! Premium Raffle Prize Chicago Bears Poster Almost Finished! It has taken just under a year to complete. The premium raffle prize Chicago Bears Autographed Poster is almost done and ready to go to a lucky winner. When it is all done, there will be 38 signatures on the poster. We will be adding the final autograph soon! Then it is off to get reframed so it is ready to hang on your wall. 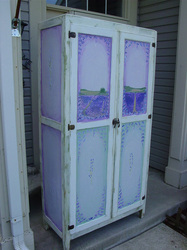 This item is easily worth anywhere from $1,500-$2,000, probably more!!! It can be yours for the price of $10.00 raffle ticket! Michael Jordan Signed 16x20 "The Shot" Photo Straight From Upper Deck! Ladies and Gentlemen, this is the premium raffle prize that everyone is drooling over! Michael Jordan is one of the most recognized sports figures of all time! His autograph is one of the most sought after by memorabilia collectors world wide! This is your chance to be the envy of collectors everywhere! To help our charity event raise money for the Make-A-Wish Foundation Illinois Chapter, the Upper Deck Company has provided a Michael Jordan autographed 16x20 photo of his famous game winning shot versus the Cavaliers during the 1989 NBA playoffs. Framed and autographed Michael Jordan photos like this one can command on average anywhere from $1,000.00 - $1300.00. You can win this one for the price of a $10 premium raffle ticket. Lee Smith Attending Charity Event and Signing Autographs. Ladies and gentlemen, we have some very exciting news for this years Crosstown Classic Crawl™. Former Chicago Cubs pitcher and Future Hall of Famer, Lee Smith will be attending this years charity event to help raise money for the Make-A-Wish Foundation® Illinois Chapter. Lee Smith will be at Club 162 from 1:00-3:00 PM and Mullen's from 4:00-5:00 PM to meet fans and sign autographs. For $10.00 Lee Smith will autograph one of your personal items and pose for a photograph. Additional items will be available for purchase. Proceeds from the autographs will go to the Make-A-Wish Foundation® Illinois Chapter. Don't miss this chance to meet a Chicago Cubs legend! Smith is 3rd All-Time in Career Saves with 478! Once he gets elected into the Baseball Hall of Fame, chances to meet him and get autographs will be harder and more expensive to come by! Make sure you buy your shirts and raffle tickets now! "He Said She Said" Live At Goose Island To Raise Money For Make-A-Wish! He Said She Said, one of the Chicagoland areas finest cover bands, will be performing at Goose Island the evening of the bar crawl to help raise money for the Make-A-Wish Foundation® Illinois Chapter. Their shows can best be described as rock solid pandemonium, designed to make you kick up your feet and party. He Said She Said's set list is filled with diverse songs from all genres that everyone loves spanning from the 80’s to today’s current hits. Finally, the energy on stage will make it clear that this band really enjoys one another and can feed off each other. HSSS shows aren't staged; everything is free flowing and spontaneous keeping each performance “fresh.” HSSS combines this skilled musicianship, playful sense of humor and dynamic stage show every audience deserves. Come check it out and treat yourself to a good time. When you think of a great party band, you will think of He Said, She Said! "In Session" To Perform At The 6th Annual Crosstown Classic Crawl™! 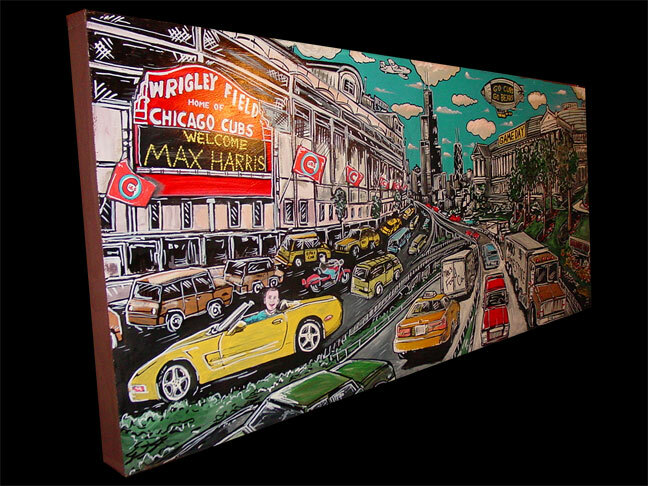 The Crosstown Classic Crawl™ charity event has some exciting news! Every year we try to come up with new ways to make the bar crawl more fun for the attendees and at the same time increase our fundraising dollars for the Make-A-Wish Foundation® Illinois Chapter. For the first time ever, we are going to have bands perform the night of our event! One of them is already in the books! An amazing local cover band "In Session" has donated their time and performance to come out and entertain the crowd and help us raise money for a great cause. 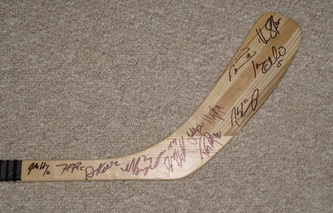 Chicago Blackhawks Donate 2010-2011 Team Signed Hockey Stick! The Chicago Blackhawks organization themselves has donated a Limited Edition Hockey Stick signed by the 2010-2011 Chicago Blackhawks Team!!! The hockey stick is signed by 22 players: Jonathan Toews, Patrick Kane, Patrick Sharp, Duncan Keith, Brian Campbell, Marian Hossa, Jake Dowell, Troy Brouwer, Marty Turco, Corey Crawford, Victor Stallberg, Nick Leddy, Niklas Hjarlmasson, Tomas Kopecky, Kack Skille, Bryan Bickell, Nick Boynton, Fernando Pisani, John Scott, David Bolland, Brent Seabrook, and Jordan Hendry. As you can see from the pictures below, this is an amazing raffle prize. 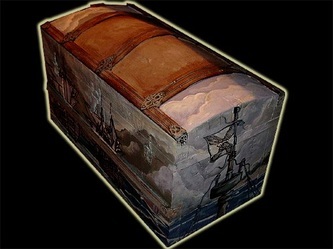 An item like this can easily bring a price tag of $1,000.00 or more. It can be yours for the price of one cheap raffle ticket. We at the Crosstown Classic Crawl™ cannot thank the Blackhawks organization enough for their extremely generous donation! Thank you! Since 2000 THE WHIMSICAL FARM FINE ART STUDIOS has been creating new, original works of art and murals never before seen. They use colors and whimsical lines and shapes to define a new art world of fun, unique, characteristic contours that echo 1980's colors and comic book lines! THE WHIMSICAL FARM FINE ART STUDIOS not only invent new things in art and murals but a fun outlook about life and life's energy and excitment...they love to create and make things new and or different for each and every customer. 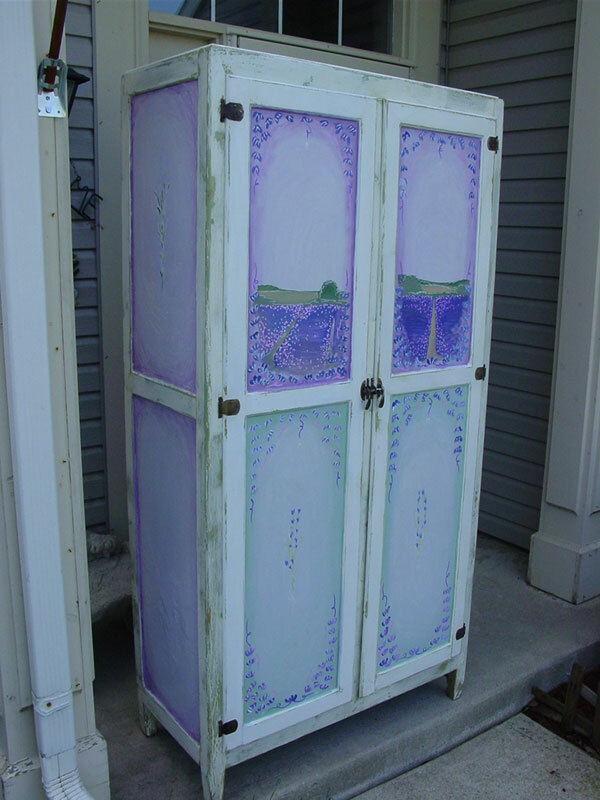 THE WHIMSICAL FARM FINE ART STUDIOS will be attending this years charity event. Not only are they donating some of their amazing work to our charity raffle, they will also have some items to sell as well as taking your orders.